Seth "the solar guy" Tilley has worked in the residential solar industry since 2006. He's known for his low-pressure, educational approach to sales, and has a reputation for knowledge and integrity. Seth has an extensive background in sustainability, renewable energy, customer-service, and real estate. 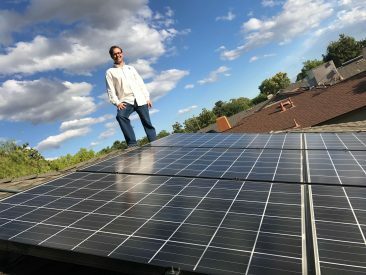 He chose to join our team at San Diego County Solar because we educate our customers, instead of using sales gimmicks, and because of our focus on quality installations. Seth loves helping homeowners save money with solar. He is both a LEED AP and a CSBA. While getting his Sustainable MBA in 2016, Seth wrote a capstone project on the residential renewable energy finance landscape in California.